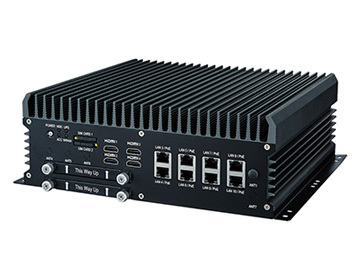 New ABOX-5200G4 and ABOX-5200G1 Fanless AI Box Computers are powered by Intel GEN 8th 6 Cores i7-8700T CPU with NVIDIA® GeForce GTX technology: ABOX-5200G4 powered by GTX 1060 GPU while ABOX-5200G1 powered by GTX 1050TI GPU. It can provide high computing performance on more broadly to accelerate computational workloads. The new ABOX-5200G4 supports 1280 CUDA Cores and ABOX-5200G1 supports 768 CUDA Cores. SINTRONES is a world-renowned and ISO 9001 & IRIS ISO/TS 22163 certified company of in-vehicle computing system products. We are dedicated to provide our customers with high quality system products that meet international traffic standards certification, including EN50121, EN50155, E-Mark, IEC60945, IACS E10, DNV and MIL-810. SINTRONES in-vehicle computing solutions have been widely adopted and approved by many well-known international brands and companies in industries.